It’s generally said that valuation of a start-up is more of an art form than science. However, entrepreneurs should put a value on their start-ups in order to raise capital and investors need to put a value on their investments to yield liquidity. Valuation is actually the number or the amount which shows how much the firm can be sold off for. As our economy wheels through boom and break cycles in various sectors and industries, the valuation of start-up firms is thus getting more combative in cases like, divorce, shareholder lawsuits, bankruptcy and other commercial conflicts. Unlike the well-established organizations, most start-ups usually have a small or basically no track record, untested products, unknown cost structures, unknown market acceptance, ongoing losses, unknown competition, few revenues, unknown implementation timing, unknown product demand, naive management, a young business model and huge infrastructure costs. The managers of start-ups generally make projections which are based on expectations that are not realistic in nature. If the investors tell you that your start-up is worth say, $1 million, then that is ‘exactly’ what its worth is. You could also think it’s probably worth much more. You probably know for sure that your firm is worth much more as your organization may have more than $1 million in liquid assets or in receivables or sweat equity, but in case you’re not able to raise capital for your start-up with a valuation above $1 million, then you would have to admit the markets valuation. This however isn’t always true, because if you manage to raise funds from family and friends rather than going outside for help, it is possible that your firm has been over overvalued. You can tell the market your firm’s worth by telling it how to value your firm. If investors think your start-up is worth $1 million, then it is generally because of something you have conveyed to them. Start-ups do not have a background of financial performance on which to base a valuation, thus it is up to the entrepreneur to create a process for the valuation of the start-up organization, based on financial projections and comparables. You can find out how many like organizations in your geography and industry are worth. If you have a high-growth start-up, lawyers and accountants are actually the best advisors to assist you in determining the market value for comparable firms at your stage. Sometimes, lawyers tend to overvalue start-ups while accountants tend to undervalue the start-up firms, thus, you should talk to the both of them before coming to any decision. Though it’s hard to forecast revenue at a start-up, you would need to do this to find out the value of your start-up and to oppose your valuation, e.g. if you are starting up a small snack shop, then your start-up valuation and the financial projections will definitely be lesser than if you are starting a high-risk technology company. If you are not generating profits, then probably your business is not worth a lot. It means that it does not have enough much liquidity as it would have if it were profitable. A lot of businesses cannot be sold, as there are not enough buyers for each seller. Hence, almost all the non-profitable businesses can’t be sold for the same reason. This generally makes start-up valuation a little challenging. As new businesses take time to generate profits, the whole idea of valuing start-ups is to stress on its future. You should first know as to how many years it would take to become profitable. Then, you should determine how many comparable firms have been valued at, when they reached the profitable stage. A firm that could be worth $1 million at profitability would be worth just a fraction of that figure during the start-up stage, taking in to account the factors like the exit time frame, the likelihood of success, and the quality of the management squad. Multiplier Method – Multiply a fundamental figure in the business plan, times the industry standard; it uses industry comparisons and start-up valuation technique used by experienced investors. Berkus method – The total value here ranges from $1-$6 MM, beginning with $200K, adding $1 MM each for a prototype, a healthy idea, a quality board or any roll-out sales and adding $1-2MM for a good management team; it is plain and simple and results in a reasonable start-up valuation. Rule of thirds – 1/3 to the capital providers, 1/3 to management and 1/3 to the founders. $5 MM limit – Never invest greater than $5 MM; it is simple, straight and gives required upside risk. $2MM-$5MM angel standard – Requesting for less than $2 MM generally means the venture misses progress and higher than $5 MM would mean that the entrepreneur is overvaluing the start-up organization or is ready for a VC investment. Start-up advisor method – It offers some support to start-ups in exchange for modest equity. Virtual CEO Method – Offering support to a start-up in exchange for equity; no financial risk involved and the stakeholder motives are usually seen in line with the founders. 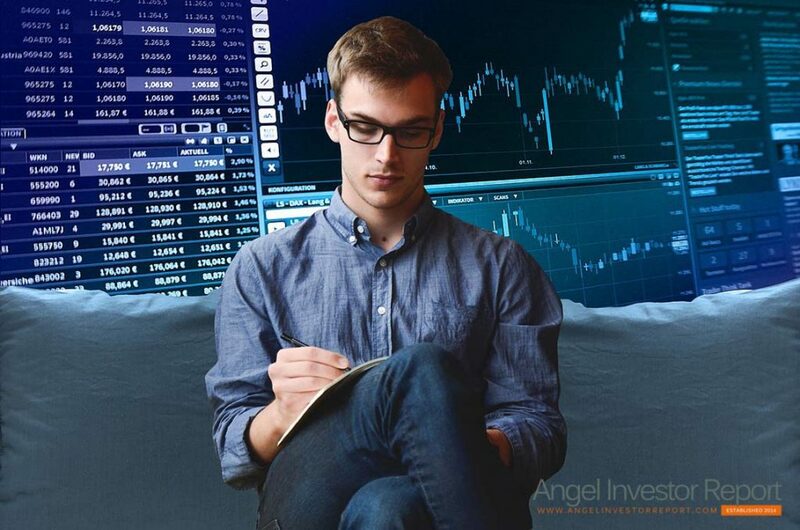 Pre-VC Method – Angel investors invests cash in a start-up firm for no shares in exchange and no set price; this method avoids structure negotiation on equity, avoids value negotiation, ensures the same terms as VC investors, at a premium price. The Venture capital method – This one uses DCF and multiplier methods to discover how much of a firm you need to own to reach your return demands; if the financial projections are precise, this method can be accurate. It is quiet easy to get caught up in the fervour and excitement of valuing your start-up at the highest possible figure and forget that one fine day you would have to deliver on the investors expectations. It is also luring to adjust your business model to maximize start-up valuation, but you ought to be cautious about overvaluing your start-up with incorrect assumptions, as it will only make life tougher, especially if your investors have rights, like a position in the board of your firm. Entrepreneurs should use creativity to value their start-up. Traditional valuation approaches of start-ups, based of P/E ratio and book values are similar to painting by numbers.